This picture, from Cherrystone Campground over on the Eastern Shore, is from a 2008 camping trip, when I'd only been taking pictures for a few months. That particular year I took so many sunset photos it was ridiculous, and here lately I haven't taken a single one. Chesapeake Bay Son, Daughter and the entire Eastern Seaboard I are camping here this weekend, and hopefully there will be many sunset photos--and no hurricane disaster scenes--to share when we return. Have a fabulous weekend full of relaxation and laughter. Not surprisingly, this photo has nothing to do with today's post except for the fact that this beach is in Mathews and so are whip-poor-wills. Capable of flinging me instantly to the summer nights of my childhood, the whip-poor-will's call is my absolute favorite, with the red-winged blackbird's song not far behind. -They have lived in the woods across the creek from me since I was a child; of course not the exact same birds, just descendants of those birds, but this explanation really isn't necessary, is it? -Their habitat is deciduous or mixed woods across southeastern Canada, eastern and southwestern United States, and Central America. -They forage at night, catching insects in flight, and normally sleep during the day. -They nest on the ground, in shaded locations among dead leaves, and usually lay two eggs at a time. The bird will commonly remain on the nest unless almost stepped upon. The site goes on to say they are becoming rare in the U.S. possibly due to habitat destruction, predation by killer ants feral cats and dogs, and fiddler crabs poisoning by insecticides, but the causes remain elusive. I've never seen a whip-poor-will but hope to hear them for many, many years to come. Welcome to another edition of Three Thing Thursday, where you share three things and I share four three things. 1. The photo above is from a section of Aaron's Beach which has eroded in the past year thanks to a few major tsunamis storms. Not long ago, you could walk unencumbered from this spot over to that patch of white beach, but alas now you must wade through water. 2. Today is the last real day of school for the Chesapeake Bay Children. There are a thousand other things we must attend, including sports banquets, awards ceremonies and I haven't worn a dress since the early '80s other events which require not my standard uniform of jeans formal attire. 3a. Ants. I must retract--or revise--my previous statements of love and adoration for Terro, although I'd still like to be their spokesperson if they'd please come out to my house and take care of these things once and for all. Of course Terro doesn't make house calls, they just manufacture the poison and the traps which cause normal, non-mutant ants to swarm and then die. To be successful in the 23076 ant zone of a zip code, Terro must ooze freely from the shower heads, the sinks, the fire extinguisher, the HVAC unit, my pores, the electrical sockets, the kitchen cabinets, the sliding glass doors, the bathroom tiles, my tear ducts, the bathroom closet, and the garden hose. When this happens, I might have a fighting chance against these killer ants. 3b. If you want to read something extremely horrifying humorous, go back to Mrs. F With 4's comment on yesterday's post. She weaves quite the spider's web story and never ceases to make me laugh. Now it's your turn. Please share three things or four things, ten things or more things. As long as you're not sharing insects, just share. Cormorant (rolling eyes): Oh no, not her again. Chesapeake Bay Woman: Hi, Mr. Cormorant! Cormorant: How do you know I'm a cormorant? CBW: I don't. I'm just making an educated guess. Cormorant: Did you know cormorants don't talk? CBW: Who says they don't? Cormorant: Most sane people. Normal types who don't have conversations with aquatic birds and then post said conversations on the internet. CBW: I never claimed to be one of those. CBW: What are you doing over the upcoming Memorial Day weekend? Cormorant: What part of "cormorants don't talk" did you not understand? CBW: And yet you keep talking to me. Anyway, Friday I am leaving for the Eastern Shore to go (drum roll) CAMPING. Cormorant: Oh no. Not that. Haven't you learned from past camping trips that all you're asking for is a disaster such as a hurricane, a tropical storm, a nor'easter, an insect infestation, a thrown-out back, a case of almost-appendicitis, sweltering heat, jungle humidity, crowded bathhouses or all of the above--and worse more? CBW: And your point is...? Cormorant: Gotta go. Have to call my friends over on the Eastern Shore and tell them to get out of Dodge, or at least out of the greater Cheriton/Cape Charles vicinity, before the Disaster Magnet arrives in town on Friday. Since I could easily continue this conversation for a minimum of three days without taking a breath, I'm forcing it to come to a merciful conclusion. But in two days the Chesapeake Bay Children and I *will* be going camping, and although I'm getting very excited, there is a small part of me that is a little nervous based on past disasters experiences. How will you be ushering in the start of summer? Has anyone heard the extended forecast for the Eastern Shore? Are locust swarms predicted? This is a shot of Mathews Mark walking back from an old cemetery the other day when he took me on a little photo tour. As a reminder to any available ladies who might be reading, Mathews Mark is an eligible bachelor - tall, dark, handsome, funny and sweet. During our photo outing he showed me one of the old shot houses, where liquor was bought and sold illegally years ago when it was otherwise difficult to acquire. Back in the day, a shot house might have been a legitimate commercial establishment or it might have been a shack in the middle of the woods. Even worse better were the old stills we'd happen upon as kids playing in the woods. Below is what used to be called the Jolly Spot. "Jolly" was a ubiquitous term slapped on just about every underaged drinking establishment gathering place around for youth young adults looking to engage in some frivolity. Anyhow, the Jolly Spot was not just a shot house or a juke joint but a place where Chesapeake Bay Father played when he was the drummer for a legendary band known as the Dynatones. He said one night at a dance there, someone got stabbed. Thankfully the person was not seriously injured but I'm sure he was quite a bit wonky a far cry from jolly leavin' out of there. What I really wanted to share about this place is one of Mathews Mark's stories that he left in the comment section on an earlier post. It was downright hilarious, plus now I have the photo to go along with the story. 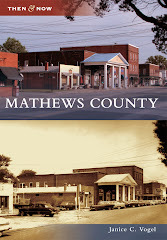 "...At one time we had over 10 local shot houses (bootleggers) in Mathews. They had names like Jolly Spot, East View Inn, West View Inn, R. Jordans and Wormlys to name a few. Mathews was a dry county on Sundays therefore you would go to one of the local shot houses for a drink . 1/2 pints of old crow, rum etc. were $4.00; a six pack was $4.00; and a chicken sandwich (a whole breast or leg slapped between 2 pieces of white bread was $1.00. For those of us that were under age, as long as the owner knew your father and you had cash (cash being the main thing) you could get whatever you wanted. I spent many a Saturday night banging on the back door of one of these joints. Owner : MARK WHO, YOU A COP? Me : NO, I AM WINFRED'S BOY. Owner: OH, YOU'RE NOT HERE TO COLLECT A CAR PAYMENT ARE YOU? Me: NO, I NEED A PINT AND A SIX PACK. Owner: DAMIT YOU AIN'T PAYED ME FOR THE LAST PINT YET!!!!! Then the door would crack open and out would come a box for your money then a bag with your spirits. This went on for years..."
As I was working on this post last night, I called next door to confirm with the Chesapeake Bay Parents that CB Father did in fact play at the Jolly Spot. After a brief conversation with my mother about the stabbing, she asked, "Why do you need to know all this?" "Because I'm putting up a picture and a post about the Jolly Spot tomorrow," I replied. CB Mother: "Oh, we're so proud." Once upon a Friday morning, Mathews Mark took me on a little drive around town in search of places to photograph. This was very exciting for me, because I'm not used to having a driver when I trespass am out taking pictures. Mark isn't just a driver, he's a walking encyclopedia of knowledge about this county. He obtained permission for us to visit a house which dates back to the 1700s and has been in the same family for who knows how many years. After driving down a long, wooded lane, we were greeted by this chimney from the original kitchen, a separate structure from the main dwelling. The sun was shining just so through the trees. While I spent about 10 minutes taking pictures of this beautiful chimney, Mathews Mark wondered why on Earth anyone would want a picture of a pile of bricks went to talk to the property owner who was out in the yard. Although we had permission to be on the property, we did not receive 100% clearance to post photos of the house on the internet, so to be safe I'm just going to show you a few glimpses of the yard, including the one below of the lovely creek out back. This was taken as we were walking to the family cemetery, which contains the grave of a man who helped build Poplar Grove, another historic Mathews estate. Next, we hopped in the truck and drove down below Port Haywood to a rather desolate lane that was loaded with old, abandoned houses, some of which were barely visible from the road. One of these houses happened to be for sale, so we pulled in to take a look around. Mathews Mark happens to know the owner of this property too, so between that and the house being up for sale technically we were still trespassing we felt reasonably sure it would be OK to snap a few photos. Below is one of my favorites from a cute little closet bedroom upstairs. The house below represents yet another pit stop along that same desolate road. Unfortunately I couldn't get as close to this gorgeous house as I'd have liked because I was wearing flip flops. These aren't just any flip flops either. They're flip flops with a heel on them. Because I am just that much of a slave to fashion that I must wear heeled flip flops on a photo outing in the jungles woods of Mathews County. Jumping ditches and maneuvering through briars is way more difficult in flip flops, fyi. Jumping ditches and maneuvering through briars in flip flops with heels is just plain ridiculous. FYI. Isn't this window precious? Is it even possible for a window to be precious? After our little jaunt around town we returned to my disaster house where I showed Mathews Mark several projects I'm hoping he can help me with. All in all it was a very productive outing even if I was wearing improper footwear. Thank you, Mathews Mark - I can't wait for the next excursion! If anyone out there owns property in Mathews and would like it plastered all over the internet photographed and featured on this crazy little blog, just e-mail me at ChesapeakeBayWoman@gmail.com. Nothing would make me happier than to be able to legally trespass photograph your place and preserve it for posterity. Of particular interest to me are the older buildings and houses, but beggars can't be choosers I'm open to anything. Including brown and pink plaid Rocket Dog flip flops--with heels. Last week as I was leaving for work, this was going on in the back yard. Thankfully I grabbed the camera when I did because moments later it was as if this never happened. It's true what they say about red sky in the morning (sailors take warning), because later this same day a 3-day storm descended. It takes the bad weather to make you appreciate the good. You have to hunker down and plow through the bad; sooner or later the sun will return. I think Marge Simpson Confucius said that, but it's true. Don't you just want to be kicked back on the lovely screened-in porch of that house? Can you imagine the mosquitoes the views and the fiddler crabs the tranquility? This house sits back behind Aarons Beach, facing the bay but with all this glorious mosquito breeding ground marsh in between. One thing I would not want, though, is to be in this house during a nor'easter, a tropical storm or a hurricane. Even in good weather they're below sea level hardly above sea level. The high tides alone could wreak havoc. But for now, let's not think about all that. Let's just think about kicking back in a rocking chair on that screened porch, drinking wine sweet iced tea while listening to the buzz of mosquitoes red-winged blackbirds. Yesterday morning I drove down to Aaron's Beach to see how The Green was coming along. In the winter, the marsh grasses and reeds turn brown and grey just like my hair everything else. When the green finally returns all is right with my world. As it turns out, The Green has taken over most of The Gray, but these reeds have some more growing to do. Normally they're over my head, just like my laundry pile. But today is not about laundry piles because if it were I'd be asking how it is humanly possible for there to be 4,685--and a half--white socks and nary a one matches. Or perhaps it's just more difficult to match 4,685 1/2 white socks when you are blinking back tears because you've never seen so many unmatched socks in your life. No, rather than ascend Mt. Laundrest, today I am going on a Blog Hunt with Mathews Mark and possibly Bay Man, if he can make it off the island at all in time. Anyway, Mathews Mark, possibly Bay Man and I are going on a Blog Hunt, which is not where we stalk blogs but where we search for places, things or people to blog about. Based on what Mathews Mark has told me, there are some very exciting prospects lined up for this hunt, although with Mathews Mark I'd have enough to blog about in the first five minutes of conversation, which may or may not involve blow toads (see yesterday's comments). Stay tuned early next week for the results of this Blog Hunt. I'll be off-line most of the weekend and it will take me atl least that long to download, then upload, the photos from today's escapades. Hope your weekend is fantastic, devoid of unmatched socks and blow toads. 1. For those of you who are organized types, what is the secret to taming these beasts known as mismatched white socks? 2. How often do you do laundry? 3. From the clean clothes basket to the kids' closets and drawers - how does this happen? When I make them do it, they stuff the basket in a corner of their room, then pile dirty clothes on top of that, and then I end up inadvertently doing loads of already-clean laundry, which is truly the last indignity. Step right up, folks, and welcome to another episode of As the World Turns Three Thing Thursday, where I share three random thoughts and you hopefully do the same. 1. My stockpile of photos pre-loaded onto Blogger is dwindling, and even worse I've not had time to take photos, download and then upload them, which usually takes approximately several months days. Hence, we have the photo above of creek mud and periwinkles Canada geese at sunset, complete with too much glare, one leg missing, and one neck contorted into a water fowl pretzel. In short, this photo represents the bottom of the Chesapeake Bay Woman Barrel. 2. This weekend there's a Relay for Life event at the high school, and our one and only Re aka Ann Marie needs sponsors. Please visit her site for info on how you can participate in the fight against cancer. In return, she promises to make some of her award-winning deviled eggs. Plus hush puppies. And fried fish. And macaroni salad. And succotash. If she tells me she can fry chicken I'm going to have to put up a For Sale sign and move down to Bavon in spite of the infestation overabundance of insects and fiddler crabs. 3. This morning as I was counting the minutes of my life wasting away behind the steering wheel commuting to work, NPR had a piece on roller derby and how it's still alive and well with over 500 (!) leagues worldwide. I was born with no other purpose than to be a roller derby-er and would like to know where and when I can sign up. Do you they accept 45-year-olds with graying hair and Vitamin D deficiencies? Perhaps I can get the makers of Boniva, the osteoporosis medication, to be my sponsor. Now it's your turn. Please share three things or more things. Random or related. Good or bad. Funny or sad. Mindless or cerebral. The tan building on the right above is the Mathews Public Library, but when I was a kid it was the Farmers Bank of Mathews, aka my favorite bank in the whole wide world. My parents opened an account for me when I was knee high to a heron, back in the days before the abacus ATMs had been invented. All that was necessary to make a deposit was my little transaction book, which I timidly held up to the teller. She'd fill in the date and the amount of the deposit, and return the booklet. Transaction complete. No receipts, no pulling up the account on a computer--nothing, at least not that I remember. Aside from the huge, gorgeous vault inside, what I remember most about that bank was all the free stuff. Lollipops--the kind with the stick looped at the bottom; pens (they were silver and white); plastic owl (not piggy) banks (mine was red), calendars--all kinds of treasures. I was in love with the Farmers Bank of Mathews and was satisfied that this would be my bank forever. Bank of America still gives away candy, and they also have coffee and cookies in the lobby. However, gone are the days when you hand over your little booklet and the teller writes the information in for you. One service they do provide, however, is a treat for dogs that come through the drive-thru. These would be dogs sitting next to their owners, not driving the car, although around here it's hard to tell sometimes, they'll sit so close together. The other banking option in Mathews, Chesapeake Bank, reminds me a little of the old Farmers Bank of Mathews in that it is a regional bank with a small-town feel to it. So far, though, I've not been given a plastic owl /piggy bank. But their candy is really good. And that's what's important in a bank. The candy and the free stuff. What memories do any Mathews folks have of Farmers Bank? For the one other person reading, what memories do you have of your first bank? How many times can Chesapeake Bay Woman use the word "bank" in one sentence post? The photo above is from the observation deck at New Point Light, on a day that found me running through swamps and briar patches in search of a decent shot of the lighthouse. Instead what I found was swamps and briar patches, an ancient graveyard and chiggers. And swamps. Chiggers are a story for another day, but they do provide a nice segue way for a discussion of another Mathews County freak of nature nuisance, the "over sized, killer mosquito." The other day I was perusing the web for information on the lighthouse and discovered this: http://www.newpointcomfort.com/. I'd come across it before but never lingered very long. Two hurricanes did pass northeast along the Atlantic Seaboard in August 1803 and September 1804 producing violent gales upon the lower Chesapeake. Another, in October 1804 passed directly over the Chesapeake Bay with Force 6 winds before turning nontropical and tracking northward dumping over two feet of snow in New England. Burroughs most likely rode this storm out on the mainland and returned after it had passed. They also had to endure the conditions that existed beside a thriving salt marsh habitat. "It is home to a variety of aggressive stinging and flesh-eating insects that prey upon their human host. Vast numbers of gnats can erupt from the swamp on still mornings and nights graying the sky in a swarming cloud. They burrow under the clothing and into the hair on the head. There is also a species of mosquito, larger than average, that can walk upon the skin undetected before it strikes. Biting flies in great variety prey here, some growing to several inches in length. They buzz about the head relentlessly before biting with such voracity as to cause a person to lose their grip or drop what they are carrying in order to swat at the beast." First, the "Burroughs" referenced above is Elzy Burroughs, kin to the one and only Ann Marie aka Re ,who today lives just a hop, skip and a jump (with a cartwheel thrown in for good measure) from the lighthouse her (great-great?) grandfather built. Mr. Burroughs was also appointed the first keeper. Second, Hallelujah, I feel vindicated. Even centuries ago the mosquitoes and horseflies on steroids were causing people to swat the air and hop up and down like they didn't have any sense. It's not just me. Amen. Third, Dear Blog Fest Attendees, be sure to bring armored tanks your strongest wine insect repellent. Here's a picture of my house complete with out of control vines and shrubbery. Guess who I heard from last night? Mathews Mark. Yes siree, Bob. Not only is he coming to the rescue on some of my house-related disasters projects, but over the next couple of weeks he is taking me on a couple of tours which should provide enough blog fodder to last us until Christmas. Hallelujah, because all of my post-Womanless Beauty Pageant posts just haven't had any ummph. I've been in a funk, a sort of post-men in dresses depression. Of course that could also be due to the myriad of disasters projects I'm juggling behind the scenes here. Also, Mathews Mark has internet access again. So he's liable to show up in the Comments section today while I'm at work, and if he does I'm sure he'll provide you with plenty of bad jokes stories for your amusement. Yesterday, while hundreds thousands of bicyclists enjoyed the perfect riding conditions in Mathews, I attempted to complete some chores. It was a valiant but ever so futile effort. First, I awoke to ants carrying me out of the house the battery on my tractor was dead even though it was just replaced. That is my fault, and it's a long story. Second, after jump starting the tractor, some spring on the mower deck broke. So the grass, which is currently chin high to a giraffe, was not cut. Next, I attempted to focus on a work-related project that requires lots and lots and lots of just shoot me now because it's too much photo editing, and have I mentioned that I don't really know anything about photo editing? Or focusing on work-related projects? But wait, before all this, I managed to sink a boat trailer in creek mud. True story. For another day. Just about the time I was up to my kneecaps in fiddler crabs creek mud, which has the bouquet of a dead skunk, I was informed that I needed to be in Gloucester to pick up Chesapeake Bay Son from his 8th grade trip. Fifteen minutes ago chop-chop! I was already late to pick up Chesapeake Bay Daughter from No Man's Land Bohannon, which is a day trip in and of itself. Also, I had creek mud caked to my legs and ants between my teeth. -dragged push mower out of garage, more difficult than it sounds given that it was lodged between a generator, an empty oil barrel and an organ. Yes, an organ. Like a piano only an organ. In my garage. Would somebody please take it? Anyone? -push mower would not start. -cooked supper for famished children while hosting an ant fiesta on my kitchen counters. -threw in the towel, put on a sombrero and did a cannonball in the Terro pool. Hopefully you had a great weekend. If I haven't said it recently, I'd kill for a long, long vacation far away from here. But I'll settle for a lawn mower that works. This inviting pair of chairs sits at the end of a dock down Redart way. I'd love to be sitting in those chairs right now, with nothing to do except study the back of my eyelids. Carefully. But there is no relaxing here in Chesapeake Bay Woman's household even though it's Saturday. No indeed. The list of things that must be accomplished today is overwhelming, so this weekend the posts will be short and sweet. Please keep your applause down to a dull roar and refrain from stampeding to get to the X in the upper right hand corner, which assures a swift and painless exit from this post. Instead of droning on about nothing in particular, I'd like to toss some questions your way. Feel free to answer one or all of them, or just leave a random comment related to nothing at all. Whatever works. What household responsibilities did you have as a teenager? What, if anything, will you be doing Memorial Day weekend? If you could be anywhere with anyone, where would you want to be and with whom? Complete this sentence: The one person I can count on to always encourage me is ______. Enjoy the weekend and spend as much time as possible sitting in an Adirondack chair at the end of a dock in a sheltered little cove with no one around but the birds. Even if it's only in your dreams. This old car was resting peacefully over on the Eastern Shore last weekend as I wandered aimlessly searching for some formal gardens at the wrong house. I'll let you guess whether this was part of the formal gardens at the right house, or just plain and simple once again CBW inadvertently trespasses the wrong house. Anyway, today I'd like to dig deep into the vast wasteland recesses of my brain and talk about a very vivid memory that has haunted me for over 30 years: holding the flag for the school bus. Back when phones were attached to the wall and you actually got up and walked to the television to change the channel (to one of the other two or three that came in via the rooftop aerial), I rode the bus to school. Right next to Thomas Edison. I had no problems with the whole bus riding concept; in fact I liked it, except for those hot, sweltering days when we drove by the pig farm on Ridge Road with the windows down because air conditioning had not been invented yet there was no such thing as air conditioned school buses. Or cars. Or houses. Not only did the houses buses lack air conditioning, but they also managed to function without the yellow "slow down" lights that now change to the "you have to stop now" red lights. But most of all they lacked the nice flashing red stop sign that now swings out on the driver's side alerting oncoming traffic to Listen. This is your one last chance and I will most definitely not say this again: STOP. Let's send another child into the middle of the road. As a decoy. To hold a flag. 1. It's dangerous for kids to cross the road in front of a bus with the occasional car oncoming traffic. 2. We must take extra steps to alert the drivers who can't see the big yellow school bus with flashing red lights (but no swinging stop sign). 3. Aha! Let's send another spindly kid out in the middle of the road to hold a flag, which consists of a sawed-off broomstick and a bandana. 4. At times there were lots of ping-pong balls raining down on poor exasperated Captain Kangaroo. In conclusion, if someone were so distracted in rural Mathews that he could not see a school bus stopped (with flashing red lights) in the middle of the road, the chances were pretty darn good that he wasn't going to see a spindly-legged third grader waving holding a flag in the middle of the road. Who else had the privilege of holding the flag? Welcome to Three Thing Thursday which happens once a week, usually on Thursday. The swiftness with which Thursday arrives each week leads me to believe that Thursday and Monday are conspiring to take over the entire week and run the other days clear out of town. There seems to be a Monday, then a Thursday, then a Saturday, another Monday, another Thursday and then it's Christmas. If anything the week should consist of Saturday, then Friday, then Saturday, THEN Christmas, followed by Sunday, four months of vacation, another Thursday, and another Friday. Rinse and repeat. To whom must I write to get this whole calendar problem corrected? Anyway, every Thursday I share three things and you share three things; whatever thoughts happen to manifest themselves at the time you are writing. 1. The shot above is from down Redart at the place Mathews Mark was working a couple of months ago. Mathews Mark has been MIA here lately only because he has limited access to the internet. However, I have an appointment with him to discuss a few projects I need his help with, so I'll have a report on him soon. 2. The oil which has already spewed forth in the Gulf of Mexico is profoundly disturbing to me. That it continues to erupt makes me all kinds of angry. In short, it's a Bike and Music Fest Which Includes Sausage this weekend here in Mathews. And I, for one, can't wait. Now it's your turn to share three (or more) things. Just like my posts, your three things need not have any rhyme or reason and any reference to sausage festivals is completely voluntary. Above is the historic Mathews Court Green on a recent Saturday morning just before the Farmers Market opened up. The buildings which make up the court green date back to approximately 1795, the same year I was born. While that may be a slight exaggeration, try telling that to my Vitamin D deficient blood. This is a topic for another day, though, this whole Vitamin D thing. Anyway, the stately white building in the background has been many things over the years: a hotel; the home of 1930s MGM "Goldwyn Girl" Toby Wing-Merrill; and a daycare. Now it's a lovely restaurant, bar and B&B called the White Dog Inn. What I really wanted to discuss today, though, is Vitamin D deficiencies have been associated with all kinds of horrendous diseases, and I'm convinced I have all of them this weekend's Tour de Chesapeake. Tour de Chesapeake is an annual Mathews County event in which every single bicyclist this side of the Mississippi, north and south of the Maxon Dixon Line, descends on our nice, flat, below-sea level, fiddler crab infested roadways. They bring their children, aunts, crazy uncles, siblings, step siblings, Sunday School teachers, and BFFs--and they're all wearing spandex and helmets. On bikes. In the middle of the road. It's more than just a little frightening when you're driving down to the court house to pick up a loaf of bread and you're not expecting the onslaught of bikes, helmets, fanny packs and brightly colored spandex. However, this is a fun event for the bikers, and a portion of the proceeds are donated to the Chesapeake Bay Foundation. The participants also bring a great deal of revenue to the local businesses, which we love. Then they leave. And we love that too. Hi, bikers! We really do love having you in our county, honestly. The bike routes range from 20 to 80 miles in length. I didn't know there was eighty miles to be found in Mathews. Best of all for us locals is there will be music. And food. And music. I believe something is planned for Saturday night next to the very court green pictured above, however the Tour de Chesapeake website's information is from 2008. I might be Vitamin-D deprived, but I do know it's not 2008. This week's Gazette Journal will no doubt have all the particulars. Get to the Food Lion before noon on Friday unless you're prepared to box people out in the snack aisle. Have you ever done any serious bicycling or participated in an organized cycling event? If you were cycling down the road with your family and all of a sudden a herd of killer fiddler-crabs jumped from the bushes and scurried across the road, what would you do? If a lone cyclist-- overtaken by horseflies and mosquitoes in the swamps of New Point-- screams but nobody hears him, does he make a sound? This is the view from Eyre Hall's formal garden looking towards Cherrystone Creek. This is the real Eyre Hall, not to be confused with the other Eyre Hall another stately mansion nearby. For details on this other lovely mansion that was definitely not Eyre Hall, see yesterday's post, where Chesapeake Bay Woman trespasses spends half a day frolicking with wild horses while wandering aimlessly around someone's exquisite property. Here's what the main house looks like. As you can see it is immaculately maintained, which was one clue that I was in the right place. The colonial-era house is surrounded by an oyster shell driveway, white fences, numerous adorable outbuildings and one absolutely stunning garden loaded with huge boxwoods just brimming with that smell that lets you know you're stepping back in time. Much to my surprise, the ruins of an old brick building stood just outside the gardens, facing the water near the Eyre family cemetery--which contains graves dating back to the 1700s. "The orangery, however, was not just a greenhouse but a symbol of prestige and wealth and a feature of the garden, in the same way as a summer house, folly or "Grecian temple". Owners would conduct their guests there on tours of the garden to admire not only the fruits within but the architecture without. Often the orangery would contain fountains, grottoes, and an area in which to entertain in inclement weather." Thank you, Wikipedia. Is anyone still awake? Below is another glance towards the creek from one of the Parthenon's windows the orangery's windows. Orangery might be my new favorite word. May I bring you a blanket or pillow? And here's a glimpse of those gorgeous boxwoods with that heavy, earthy, intoxicating smell. The garden was one big maze of boxwoods surrounding mini secret gardens, loaded with flowers and exotic plants, and benches sprinkled throughout. I could spend an eternity just sitting and absorbing the sights and smells of this place. "The property where Eyre Hall is located was first patented to the three sons of Thomas Eyre I in 1668 and included 1,600 acres. A 700 acre tract was purchased by Littleton Eyre, a great grandson of Thomas, in 1754 with the purpose to build a family seat and a working plantation. The original structure built in 1760 was a 41-foot-square structure and was a 2 1/2 story wooden home. The property grew periodically over the years too, as a a dairy was built in 1760 and a smokehouse was built around 1806. The house is surrounded by boxwood gardens, and formal lawns and fields that melt away into the Cherrystone Creek. On the grounds is also a walled garden from the 1800s, the Eyre family cemetery, and the ruins of an orangery from 1819." Am I the only person who is still awake? had never heard of an orangery? Labels: Eastern Shore, Redundancy, Repetition, Will the Real Eyre Hall Please Stand Up? A while back I read a magazine article about an estate called Eyre Hall over on the Eastern Shore, which is on the other side of the bay from Mathews (about 10-15 miles as the crow flies, but about 2 hours as the car drives). Every now and again I'll get over to the Eastern Shore and have seen the sign for the historic home, but I always thought it was private property. According to the article, the gardens are open to trespassers the general public. So yesterday, on my drive home from Delaware, I decided to stop in and take some photos. After a long drive down a lane riddled with pot holes (odd, I remember thinking at the time, because the article made the place sound immaculately kept), I came to the entrance gate and was stunned to be greeted by the horses above, who evidently had broken out of their fence and were trotting across the driveway in front of me. There were five or six of them running wild all over the property. There was nobody else around, so I pulled over on the grass and wandered around with my camera. The house itself was massive, and incredibly beautiful, but very, very much....in need of maintenance. The article said the house was normally closed, so I wasn't expecting that to be open, but I also wasn't expecting it to be so...in need of maintenance. Perhaps they focus their resources on the gardens, I told myself. Below is a shot from where I parked my car. Notice the holes in the windows and the shutters hanging off leaning against the house. At this juncture most normal people might conclude that they were in the wrong place, but not Chesapeake Bay Woman, who is anything but normal kept wandering all over the grounds in search of this secret public garden. This magnificent home on an enormous amount of land is on Cherrystone Creek, which leads out to the bay. I wandered all over admiring the views the waist-high grass and the charming outbuildings. Still, I couldn't figure out where the gardens were. The more I wandered around, the more perplexed I became. Why would they publish a magazine article advertising magnificent gardens that were so difficult to find? Finally, Chesapeake Bay Woman returned to her car with a camera full of delightful pictures of a beautiful, stately, waterfront manor whose windows were smudged with her noseprints. Her fingerprints may even be on the locked doorknob, who knows. But alas she had no photographs of the much touted formal gardens. Little did she know that the reason she had no garden photos is because this was the wrong house. Dear Property Owners, I had no idea. I think swear the sign at the end of the road said Eyre Hall. But really, your place is gorgeous. You might want to make sure the horses stay out of the road, though, You never know when some frizzy-haired woman might drop by unannounced and unknowingly trespass startle them. If I hadn't eventually found the real Eyre Hall, I'd still be wondering why I couldn't find the gardens at this first house. The whole experience was surreal. Truly. Stay tuned for photos from the real Eyre Hall and the gardens, which not only exist but are truly works of art, just like those biceps on Lady #6 above. Labels: Eastern Shore, Legally Trespassing, Men in Women's Attire, Misadventures of Chesapeake Bay Woman, Ridiculousity, Will the Real Eyre Hall Please Stand Up? About a week or so ago, an evening shower brought us a double rainbow. (The second one is barely visible in this shot.) A photograph cannot come close to illustrating how beautiful it was. Similarly, there are no words which adequately convey how proud I am of the Chesapeake Bay Children and how much I love them. Today I'll be driving down the Eastern Shore on my way home from Delaware. I'll probably arrive too late for any extended Chesapeake Bay Family Mother's Day festivities. Chesapeake Bay Son is on his 8th grade trip to Niagara Falls, so it will likely be just me and Chesapeake Bay Daughter. Which sounds perfect to me. Once upon a time, Chesapeake Bay Mother dragged a plastic swimming pool into Killer Goose Gustav's pen. Does anyone else find it a little strange that somebody would buy a kiddie pool for a goose? Maybe it's just me, I don't know. Chesapeake Bay Woman, thinking this might be an opportune time to take some photos, trotted next door with her camera. The novelty of a personal swimming pool a good bath might distract him long enough that she could approach without fear of death being bitten. Beelzebub The beast, not wanting any part of this activity, began hissing and spitting and charged at Chesapeake Bay Woman, so she galloped back to her house and never did get a decent shot. This lovely purple flower is a vine called wisteria. I've always loved that it tends to show up in the most unusual places, like draped across the remains of an old house, or high atop a stand of trees. This particular shot is from the old building just past the state shed at Foster, before Trinity Episcopal Church on the right if you're leaving Mathews. There's a trailer (attached to that pipe-looking thing in the lower right corner) directly in front of the building which blocks its full view. I'd give anything to have a shot of this place with the wisteria in bloom minus that trailer. Chesapeake Bay Mother actually knows a little something about the old building hiding underneath the flowers. She said it was a store, and she even knows the name of it. But I forgot what she said while she was telling me, there were way too many look! shiny things! distractions and interruptions. Distractions and interruptions, plus procrastination and an inability to complete anything--if you toss in a few insect infestations that pretty much defines my life. Wisteria (also spelled Wistaria*) is a genus of flowering plants in the pea family, Fabaceae. It contains about ten species of woody climbing vines native to the eastern United States and the East Asian states of China, Korea, and Japan. Aquarists refer to the species Hygrophila difformis, in the family Acanthaceae, as Water Wisteria. Wisteria vines climb by twining their stems either clockwise or counter-clockwise round any available support. ..The world's largest known Wisteria vine is located in Sierra Madre, California, measuring more than 1 acre in size and weighing 250 tons. *We neither spell nor pronounce it "wistaria" around these parts. Anyone from around here know anything about the old store hiding behind the trailer at the bend in the road near the state shed? Wisteria: beautiful flower or invasive weed? Please discuss. Welcome once again to the day known as Thursday and the post known as a three ring circus Three Thing Thursday, where I share three completely random things, and you do the same, hopefully. 1. The photo above is of the 1970s-era Mathews County Disney World known as the Islander motel, restaurant and marina on Gwynns Island. This magnificent patch of land holds so many memories for so many people. Surely there's a screenplay book just waiting to be written about it all. By the way, I'd like to volunteer to be the person who writes that book screenplay, the day after I successfully clone myself into three or twelve people who would take over my current obligations and responsibilities, which by the way are too many. 2. There's a photo in this week's Gazette Journal (I think it's page 3, upper right corner) of two participants in last weekend's Womanless Beauty Pageant to benefit Relay for Life. I don't care how many times I see those photos, I die laughing. Hysterically. 3. Today I'm driving up to Dewey Beach, Delaware, to meet up with former college roommates Iris and Lenja. Lenja (pronounced LEN-ya), originally from Finland, now lives in the U.K. She flew here just for this mini-reunion (of 3) at Iris's beach house. At a previous Northern Virginia reunion in the 1990s, Lenja backed her parents' station wagon down a hill over a concrete retaining wall such that her rear tire was spinning, suspended in midair, until the nice tow truck man made everything OK. Another time, she fell into the canal in Georgetown, and Iris had to pull her out. Now it's your turn to share three--or more--things, whatever you want. Anything at all. Above is a close-up of a court house street sign indicating the existence of a road known as Brickbat. The sign does say that, but in all my 495 45 years of life, I've never, ever, heard anyone say, "Turn right on Brickbat Road." (Or left for that matter.) It's just the road by Fleets. It has no name. The word brickbat is not unfamiliar, however. My mother and grandmother both used the phrase "harder than a brickbat" often, and I grew up saying it myself. A sentence using the word brickbat might go like this: "That cake that Chesapeake Bay Woman just baked is as hard as a brick bat. You'd break off an eye tooth biting into that thing. Quick! Throw it in the trash before she comes back." I just assumed everyone knew what that meant. But then one day I left Mathews. When I raced with flames at my heels trotted off to college in the early 1980s, the transition from sheltered Mathews County life to fraternity parties college life was challenging to say the least. My roommates all thought I was a freak of nature sort of like that boy who was raised by wolves a bit odd. For example, if I said, "That poor woman is uglier than a mud fence," they just howled with laughter. "What is a mud fence?" my friend Iris would say. Or they'd ask, "Why would you go to a court house to go shopping?" Well, you can imagine how they reacted when I first said that something (probably a piece of bread or some science experiment in the icebox--another foreign word to them) was "harder than a brickbat." Next came the inevitable question: What exactly is a brickbat, anyway? Anyone? Bueller? The term dates back to 1579? That's only a a couple of decades before the last time I cleaned out my icebox the Jamestown settlement. But this still didn't sit well with me. Why would they call a street in the court house Brickbat Road? Another website, oldhousejournal.com, brought me a little bit closer to a more likely answer. Speaking of historic buildings and how to properly replace and repair centuries-old brick, it referenced high-fired exterior brick and low-fired interior "bat" or "clinker" brick. Since Brickbat Road hugs the historic court green, which is loaded with centuries-old buildings, I'm going to assume the road name has to do with the brickwork on those structures. Has the one reader from Mathews anyone from Mathews heard that street referred to as Brickbat Road? Has the one other reader from out of town anyone else ever heard the term brickbat? Am I the only one who wants to do another Womanless Beauty Pageant, like next weekend? Here in cyberspace, the Mathews County Womanless Beauty Pageant lives on, even though it's been over and done with for three weeks days now. Something like this doesn't happen very often, and we folks here in Mathews don't get out ever, except to Best Value and Food Lion much. No, a Womanless Beauty Pageant in Mathews is truly a big Neal deal. Mathews is known for fishnets gill nets, pole dancers fishing poles and miles of beautiful, glistening wigs beaches. The people who live here are crazier than loons generous to a fault and will do anything to help a good cause, such as Relay for Life. They'll bend over backwards to help someone in need. And there will be another Womanless Beauty Pageant, right? I really need to get a life something to look forward to. For anyone wishing to make donations or to learn more about the county's fundraising efforts for the American Cancer Society, click on The Mathews Relay for Life website. p.s. Hello, Realty TV show producers? Give me a call. Have I got a county for you. In spite of all outward appearances, this is not a police line-up. On the left (above), we have Miss Grimstead, aka Bud "Boudoir" Ward, waiting for the talent portion of the competition in Saturday night's Womanless Beauty Pageant at Mathews High School. Next to him is Miss Cardinal, aka former Washington Redskin Stuart Anderson. Sitting in front is Baby Sister's friend Miss Bohannon, aka Chuckie Walker. She He sashayed and shimmied to "Tip Toe Through the Tulips" for his her part of the talent competition. Stuart Anderson Miss Cardinal sang her his heart out. For just the briefest of moments I'd like you to compare Miss Grimstead's broad shoulders (below) to his her dainty little thong waist. Yes, those are dollar bills dangling from her his waistband, and yes that is spandex under that thong a hula hoop. By the time the swimsuit competition rolled around, Miss Grimstead was showing signs of I need a beer and I don't care who I have to knock over to get one fatigue. But then he she caught her his second wind. Is there a market for Womanless Beauty Pageant talent managers? Because I'm seriously considering changing careers. This was so daggone exhausting much fun it ought to be illegal, and I'm pretty sure in some states it is. Ann Marie, whose artistic talent spans from the beautiful cheese platter she served all these ladies to the beautiful glitter fingernail polish she applied when I was so stressed I just wanted to cry die. Most of all thanks to the ladies men of Mathews County who proved that real men women really do wear pink thongs.